Personal Best Crappie - 3 lbs. 9 oz. My son always trying to one up me! 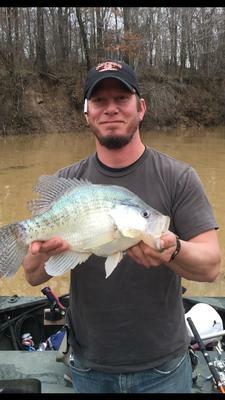 Caught this 3 pounds, 9 ounce white crappie in the Coldwater River of northwestern Mississippi. This is my biggest crappie so far to date. 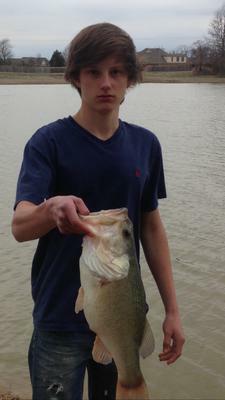 And of course, my boy managed to haul in that big bass that you see there in the other picture. Join in and write your own page! It's easy to do. How? Simply click here to return to Crappie Pictures.